Home » Festivals • Festivals of Nepal • Hindu • Hinduism • Janmastami • Nepali Culture • Religious and Traditions • Sri Krishna • Sri Krishna Janmashtami » Why Hindus celebrates Krishna Janmashtami? On the auspicious occasion of Sri Krishna Janmashtami, I will be sharing the reason behind the celebrations of this festival also known as Gokul Ashtami. Before we know about the importance of Sree Krishna Janmashtami, we should also know about who was Sri Krishna and other things about him. 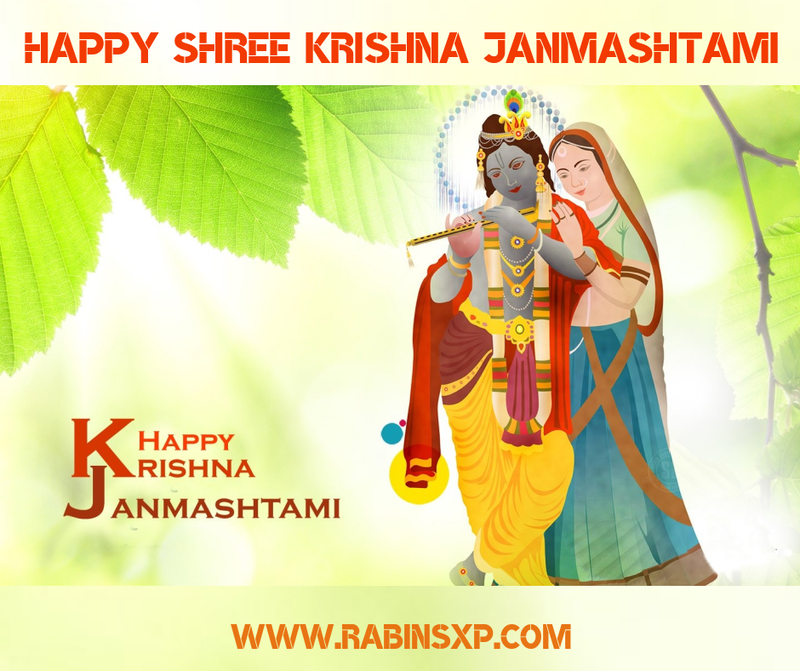 A Happy Shree Krishna Janmashtami Greetings with the image of Raha and Krishna playing the flute. Krishna Janmashtami simply means the “birthday of Sri Krishna”. This day celebrated as a festival is one of the auspicious and important days in Hinduism because in this day the Supreme God himself came to Earth as an eights avatar of Lord Vishnu. This day reminds us of the importance of “Geeta” which is a song of speech between Arjuna and Krishna in the Kurukshetra War as mentioned in Mahabharata.